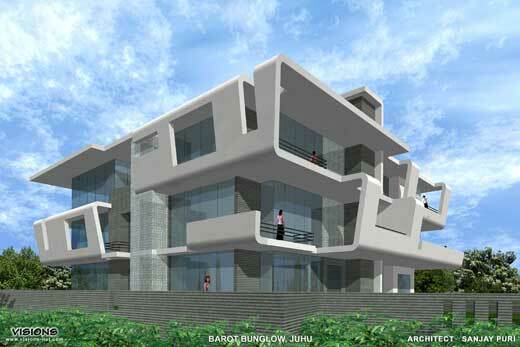 Designed by Sanjay Puri Architect, the Fluid House will be located in Mumbai, India with total area of project 20,000 Sq. Ft. The three levels house maximizing the use of glass screen to allow natural light and cross ventilation. 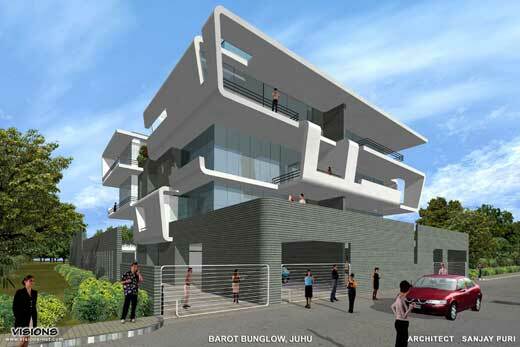 A glass screen wall traverses the courtyard continuing on either side as a divider wall between the structure creating a 4 bedroom bungalow on either sides for two families that would be occupying the house as per the brief.